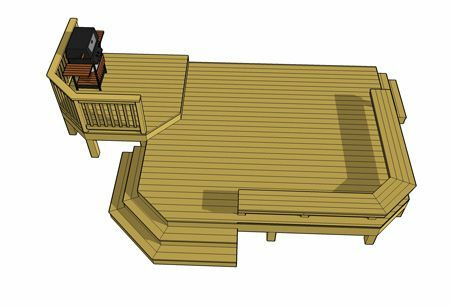 This 2 level deck includes a 8' x 8' top deck with clipped corners as a point of entry and grilling area. 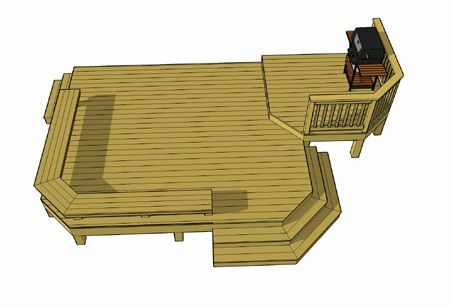 An angled step intersects with the 16' x 14' bottom deck which serves as the primary entertaining area. 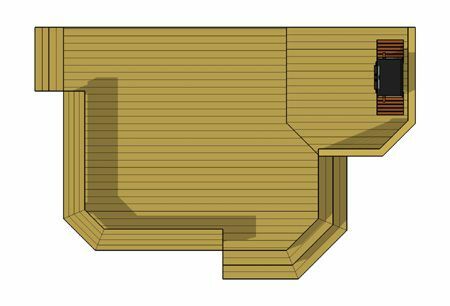 The bottom deck features a angled bench and a cascading staircase. The bottom deck does not require guard rails because it is less than 30" above grade. This allows for an open field of view and presents a better visual connection with the surrounding landscape.